Wi-Fi could be used in hospitals to track kit - will patients be next? Independent hospital The London Clinic is to roll out a wireless tracking system to help staff quickly locate medical equipment. 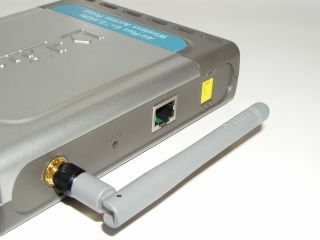 The asset-tracking system uses an existing Wi-Fi network plus technology from Finnish wireless chip maker Ekahau . It will be able to locate items to within 10 feet using a combination of wireless chips and wireless access points. Staff at the hospital in London's Harley Street area will be able to view plans of the hospital on any computer screen in the building, with indications on where to find medical equipment such as syringe pumps and blood gas monitors. "It's about finding assets when you need to find them," said Mike Roberts, IT director at The London Clinic. Following a successful trial in late 2006, the wireless tracking system will be rolled out over the next months. Roberts added that additional ways of using the technology - possibly to locate staff, log patients going in and out of surgery, or for ID badges with built-in wireless chips that show outpatients their way to appointments - are in the pipeline.